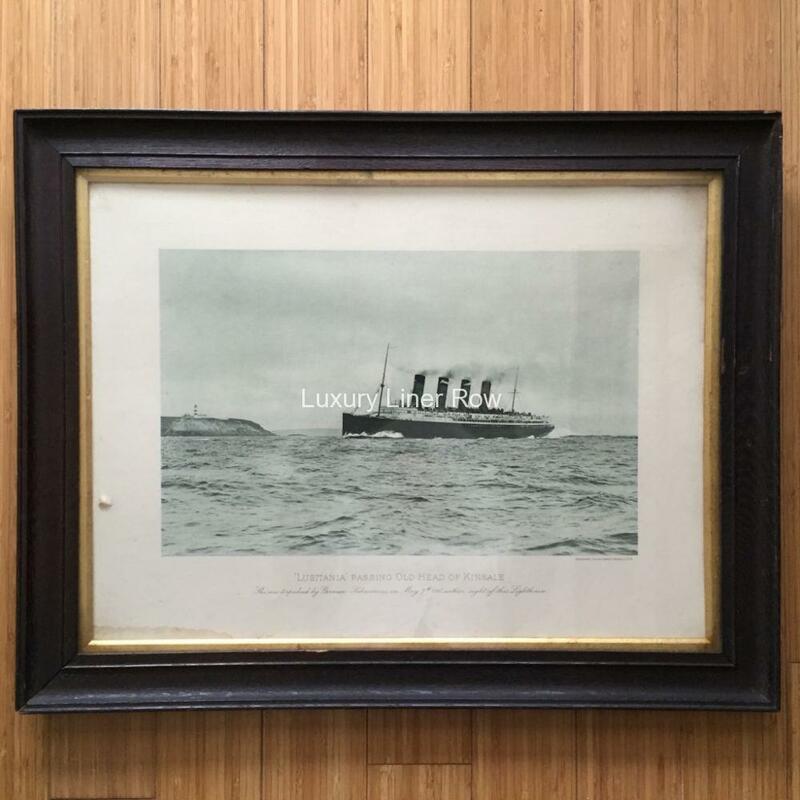 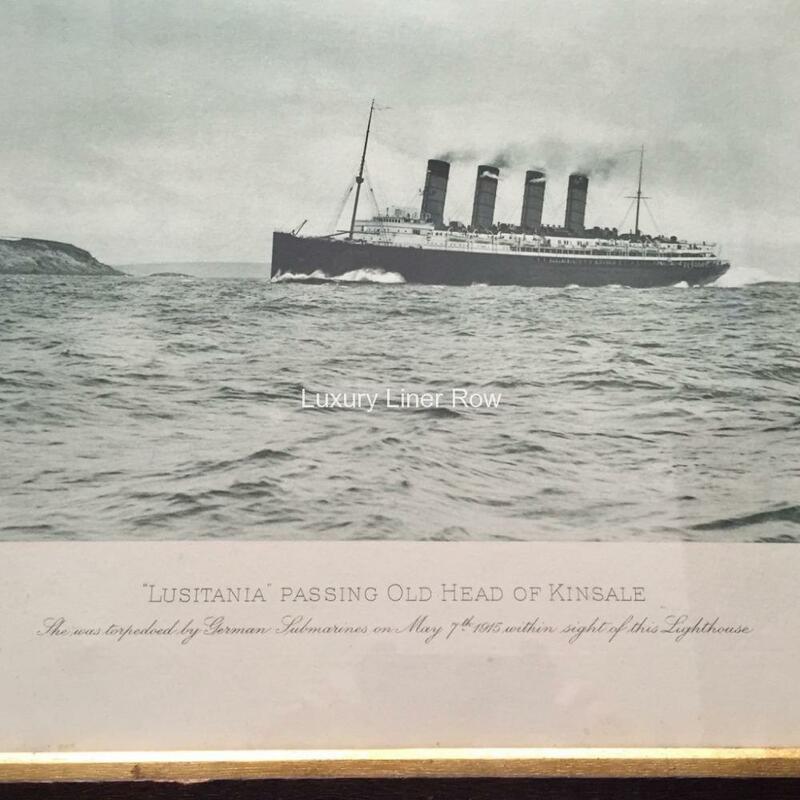 A period memorial image of Lusitania off the Old Head of Kinsale. 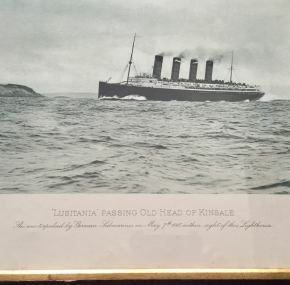 She is shown amazingly near the site of her sinking in a view likely from 1909. 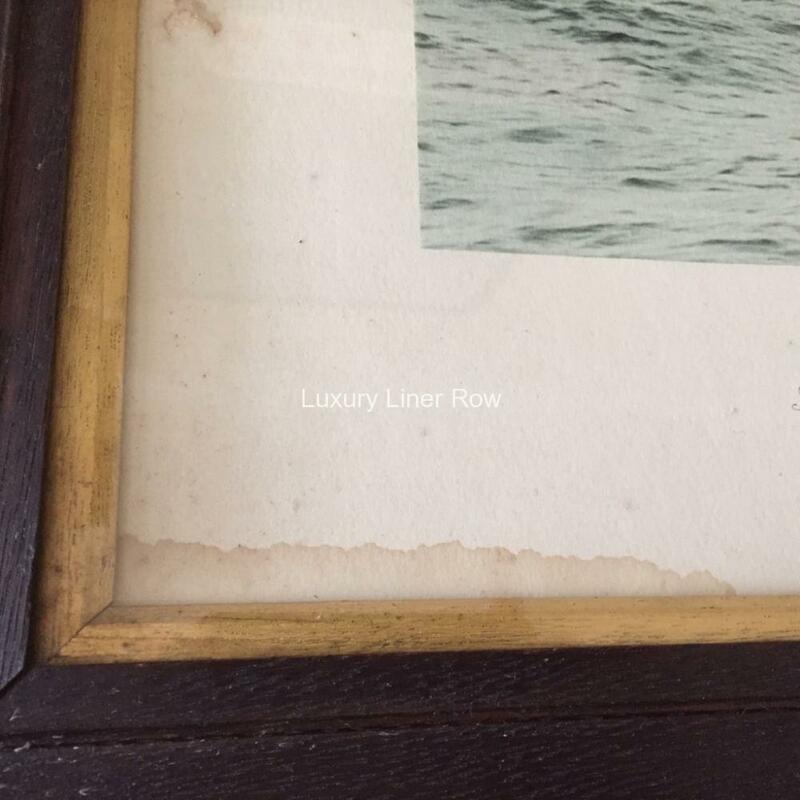 The frame and glass are original to 1915 as well. 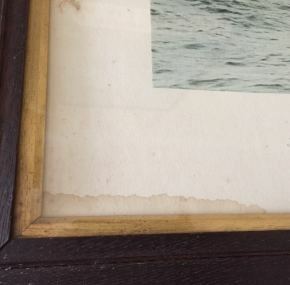 In excellent condition with a just a touch of water damage to the lower left corner. Measures about 26½” 21″.